Freemont Street in Vegas is insane. All kinds of walks of life stroll down the street, wearing all sorts of outfits. We took the zip line over the street peering down at all the wired and wonderful spectacles. 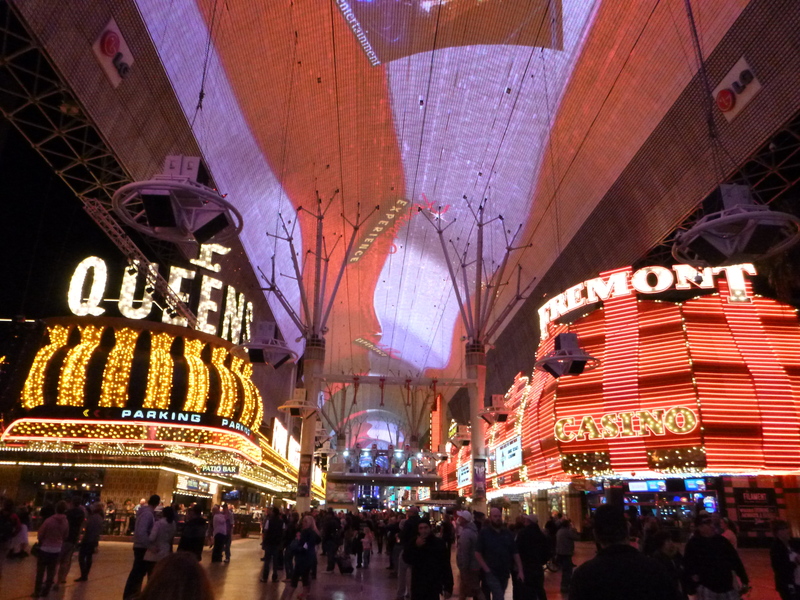 I could see mobs of people walking up and down along the crazy looking casinos, shops, bars and restaurants. 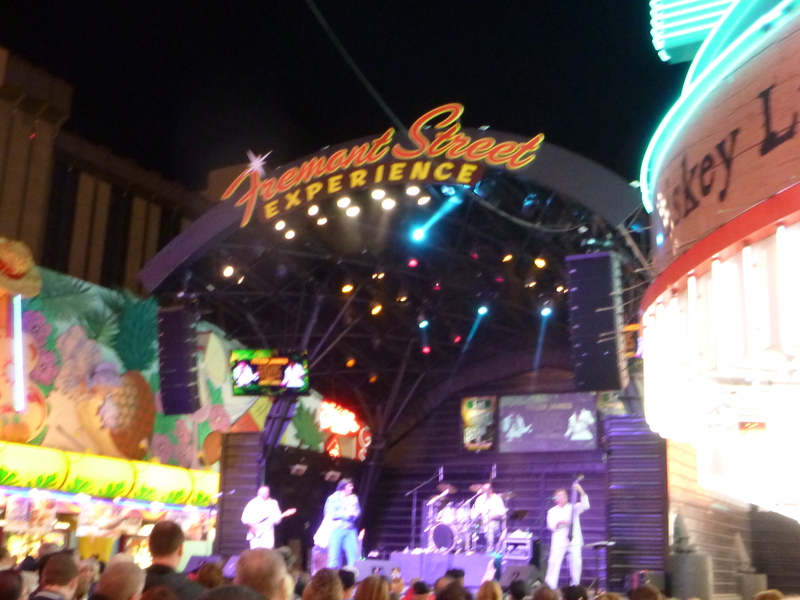 When walking on ground level, we stopped off to listen to a band and to an Elvis sing his heart out on stage. There were some fun street dancing acts who were very double jointed, statues that moved when you paid them and more dressed up people you could take pictures with. The street was lively, bustling and so much fun. I loved watching all the people – both performers and pedestrians. Every hour there was a light show. 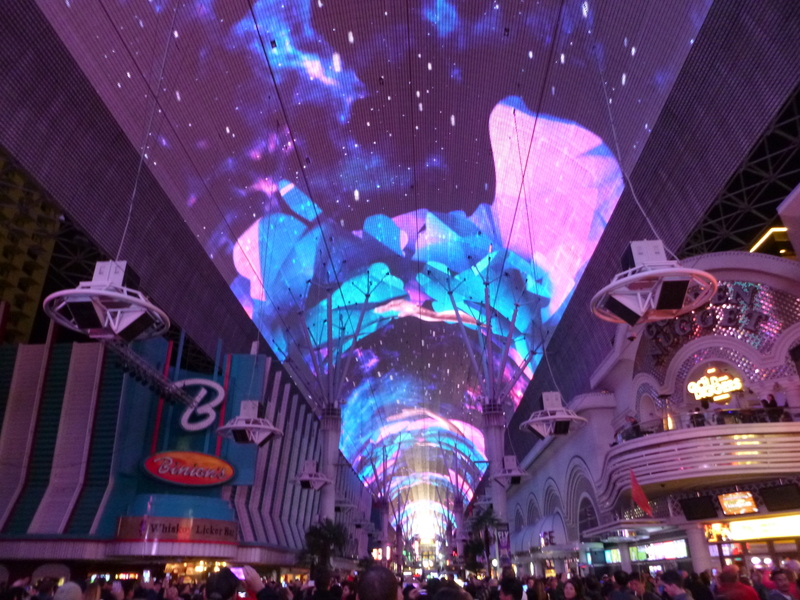 The ceiling of Freemont Street is a huge cinema screen. So when the hour strikes, the fluorescent sign lights go off and the ceiling shows a sequence of moving pictures and swirling shapes to a music track. It was very tippy but nice to look at. 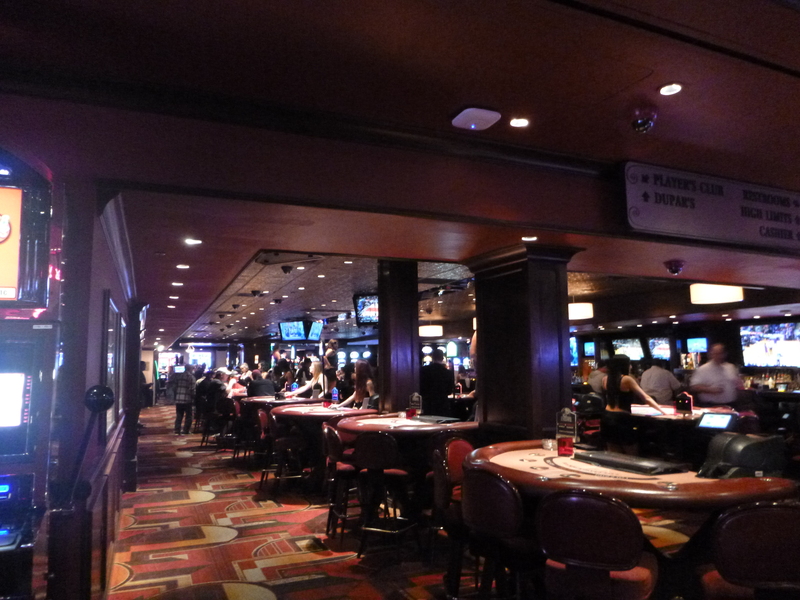 We went in the first ever casino to be built in Vegas – The Golden Gate. The girls inside at the tables wore practically just underwear. However, the guys wore shirts. It was crazy, they must have been so cold. Some girls were dancing on tables, while others taking people’s money for bets. Outside on the street, were three top less guys offering to take your pictures with them. They were so inappropriate it was hilarious. They approached us giving us necklaces trying to lure us in but they just came across as creepy. After strolling around we went to another part of Vegas which was considerably more rough. On the bus people looked most shoddy, one old lady was reeled over snoring, a guy was shouting at his poor girlfriend, drunks were everywhere and people were just unsavoury. 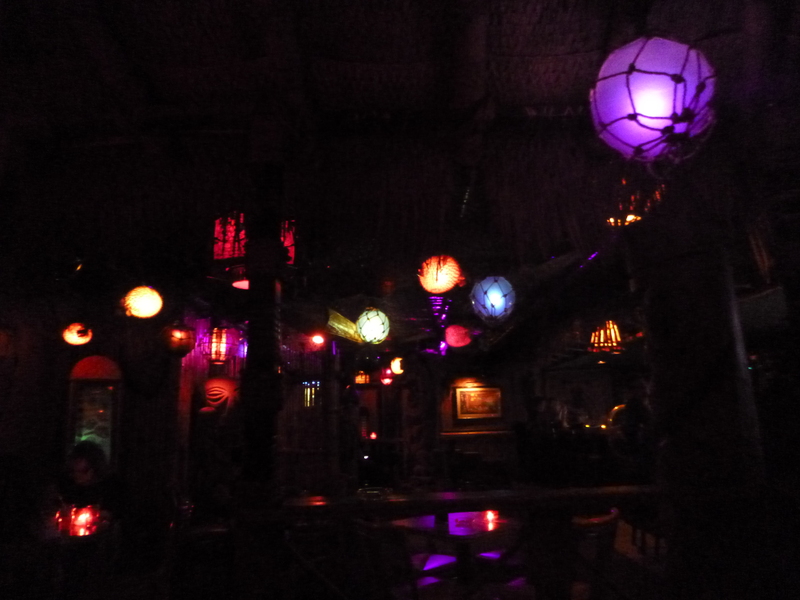 We got to a cool, hippy pub where we hanged out for a bit.